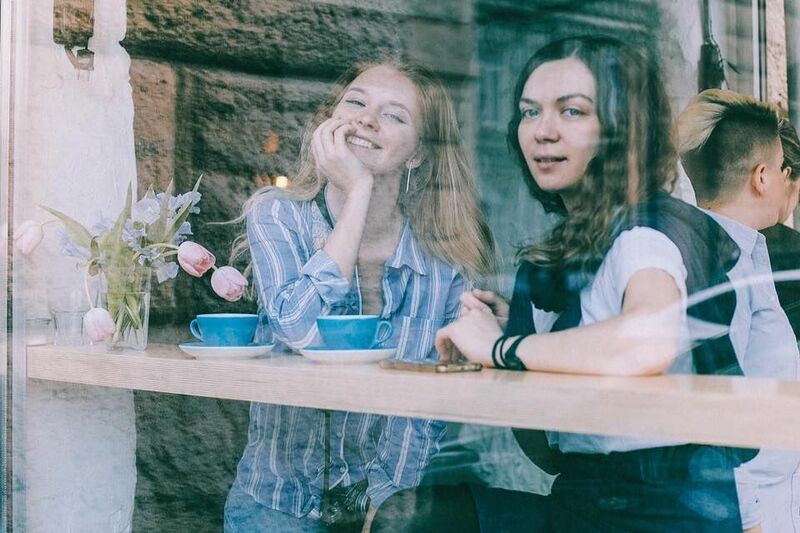 In July 2017, we sat at Moscow's Chelovek & Parokhod cafe, working on our coffee guide of Moscow when we met Maria Orlova and Anna Shekhvatova for the first time. 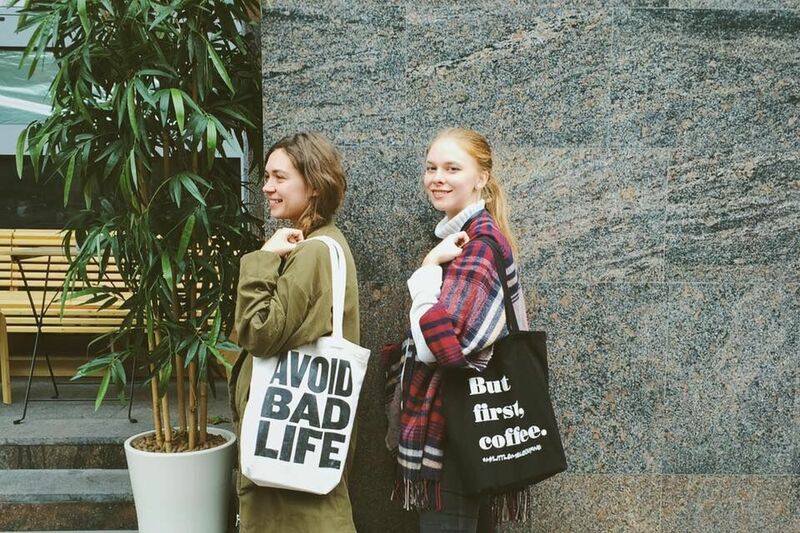 Both girls were talking with a great excitement about their latest project called Moscow Coffee Book. In it they wanted to show the international audience what was brewing in their home city, Moscow. 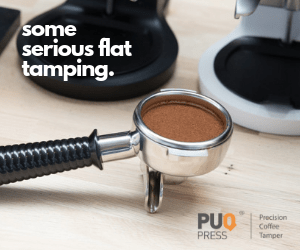 Several months later, we saw the project turn into a physical book introducing the Moscow coffee scene in the best way. It would not be possible without months of hard work and without overcoming several obstacles along the way. That is what we discussed with a photographer Maria Orlova in this interview. 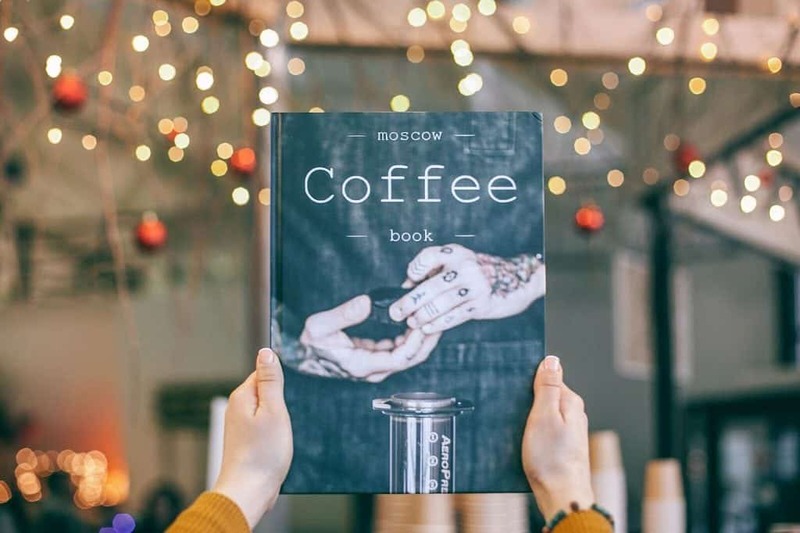 How did you come up with the idea of making a book about Moscow’s coffee scene? Like lots of coffee people who fell in love with the aesthetics of books and hand crafted magazines, I have been keeping calm and cozy every evening reading some of them. On those rough pages I felt the life of people I will never meet. And I was looking for a similar book, a magazine, or anything that could tell stories of the [coffee] people in my homeland. And I could find nothing. So let’s say I made Moscow Coffee Book because nobody else did. We started the book with Anna Shekhvatova, a barista from one of the best coffee shops in Moscow – Chelovek & Parokhod. What will people find in the book and how long did it take you to write it? It took 10 months. We could do it in 5 if we had no other work. I hope people will find the right mood inside. I mean, this special, cozy, inspired, natural vibe that is common for good specialty coffee shops. 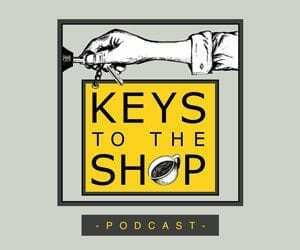 And for sure, 24 interviews with baristas, coffeeshop owners and a few other people who worked to build our coffee scene. But the main thing (for me in any case) are pictures. In summary, it’s a coffee tuned photo album with stories. 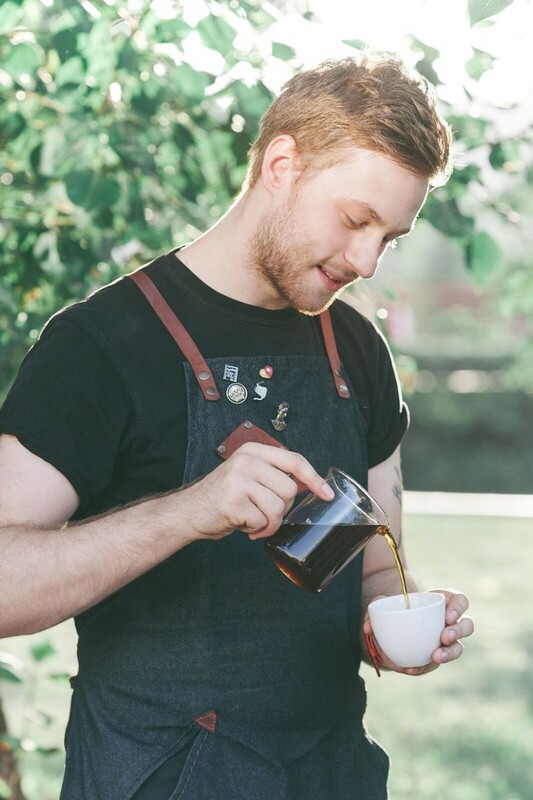 Stories of Moscow coffee scene in general, and Russian barista’s life in particular. 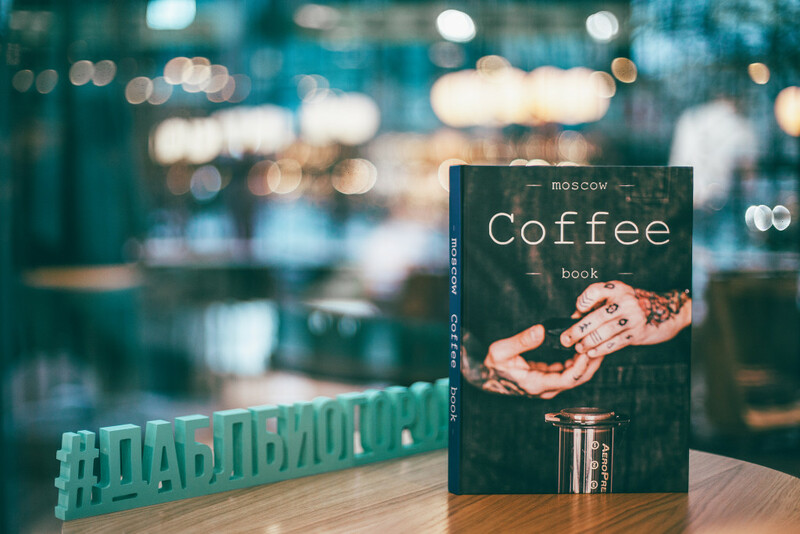 In the book, many stories of baristas’ life allow the reader to see the entire giant picture of Moscow coffee scene. And no, there are no recipes of a lavender latte or other brew guides, not this time. 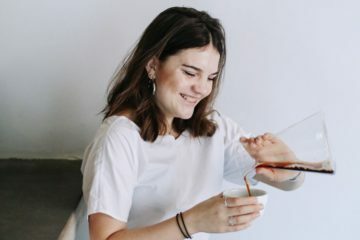 What is the speciality coffee scene in Moscow like and how has it changed over the past few years? It grows so fast. 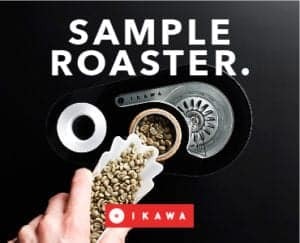 I mean everything, the number of specialty coffees hops, experienced baristas, roasters, and people well-informed about alternative methods of brewing. Three years ago I couldn’t imagine that a bunch of passionate enthusiasts like Cooperative Black (Кооператив Черный) could open a coffeeshop in Moscow’s centre and that it would work smoothly! Don’t forget that rent prices are very high compared to salaries. A market place ~5100 euros, a popular street in the city centre ~3900 euros/20 sq m, a barista’s sallary ~3,1 euro/an hour. 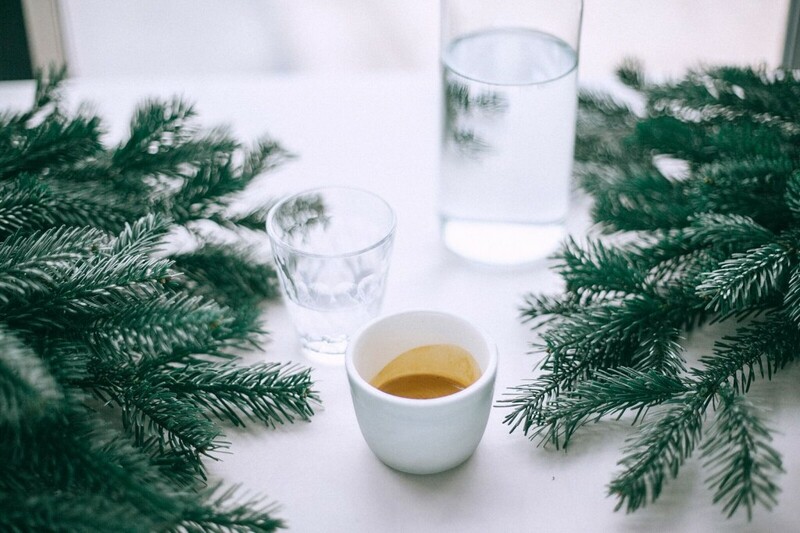 Why should any coffee lover consider visiting Moscow? How does it vary from other European cities you have visited? 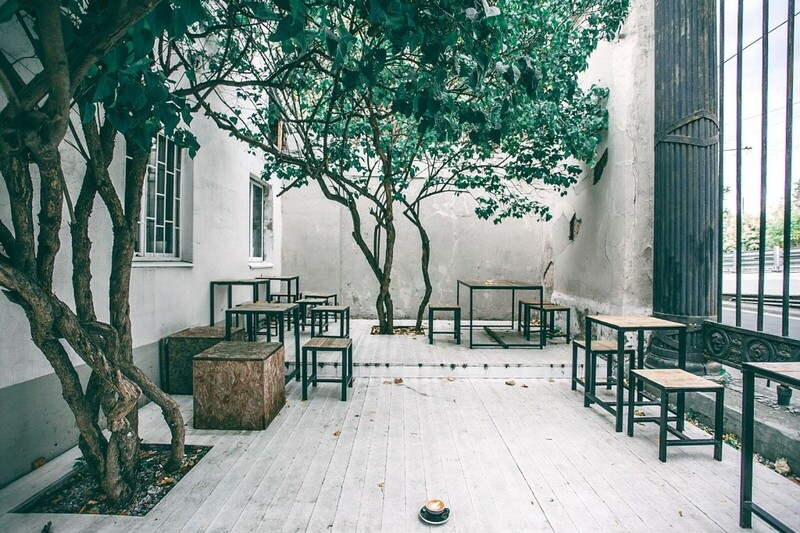 Moscow is finally ready for a coffee trip. 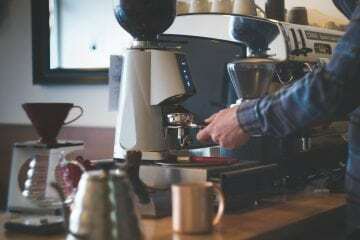 Take a list of specialty coffee shops from Moscow Coffee Book or European Coffee Trip, and spend 5 days or more dived in the coffee world. Two years ago you had to hunt for a real good cup, it is much easier now. How does it vary from other European cities you have visited? Tough question for me! I always remember the difference between one coffee shop and another by their atmosphere. But it’s not enough for an explanation. I will not tell you that Moscow coffee scene is absolutely different and you will never find anything like this. It’s that rare phase, when coffee society is young but already has great coffee and huge variety. And yet, it remains not too snobbish. 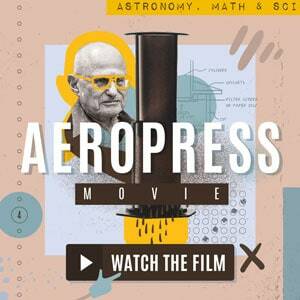 Could you share the most interesting story from the process of creating the book? It’s also a story about a miracle that happens when you are about to give up. I was on a commercial photo shoot, waiting for my crew to come. At the same time, I had a half a day to arrange printing, but each typography shop I called was busy until February. We had two reasons to make everything in December. A huge book fair called non/fictio№18 invited us to make a presentation on 4th December. 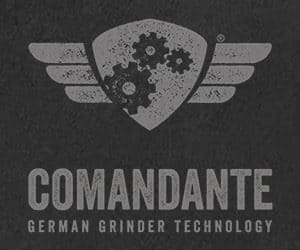 It was a good chance and a big deal, especially for a project without any advertising budget. So I decided to accept the invitation. And secondly, after Christmas and New Year’s, everyone feels hibernated, so it is much better to showcase a new book before holidays. I’m kind of a stubborn person, but after four hours on the phone, despair finally came. And yes, he made the impossible possible, and issued Moscow Coffee Book in ten days. He found a great English paper for our book, registered an ISBN and took the transportation tasks on himself. The first time I held Moscow Coffee Book in my hands was the night of 3rd December to 4th of December. I was shaking. And couldn’t believe it. What was the most difficult part about making the book? Keeping good relations between people within and outside of our team (sellers, advisors, typography and others) and managing everyone’s tasks. I had never worked as a boss before, or a head manager of sort. For me, it’s much more reliable to do everything by myself. But it is impossible and unprofessional. I’m a photographer and I have to do my job, I can take care of the book’s transportation, or choose 24 baristas for an interview, but I’m not the best at it. So it’s better to delegate. What would your perfect day in Moscow look like? 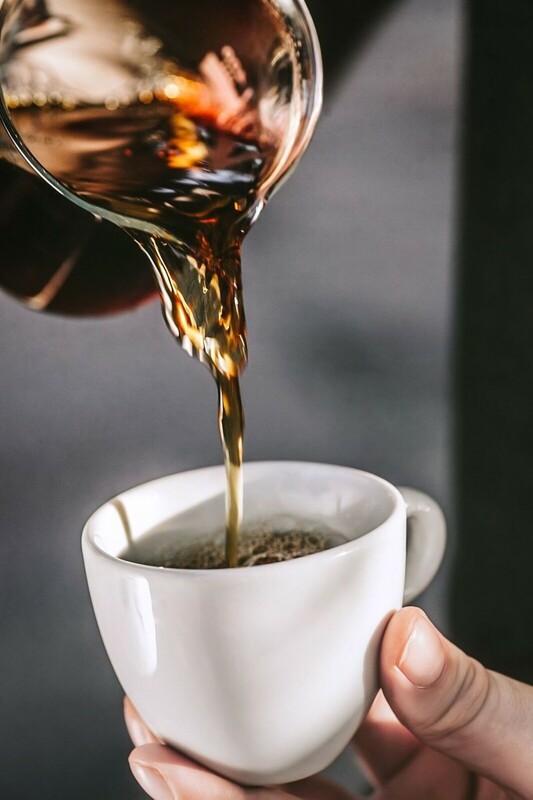 Wake up at 7:30 a.m., brew a bonavita for myself and a french press for my family–almost an impossible task, 80% of my year is spent abroad–write down a to-do-list and immerse myself in it. 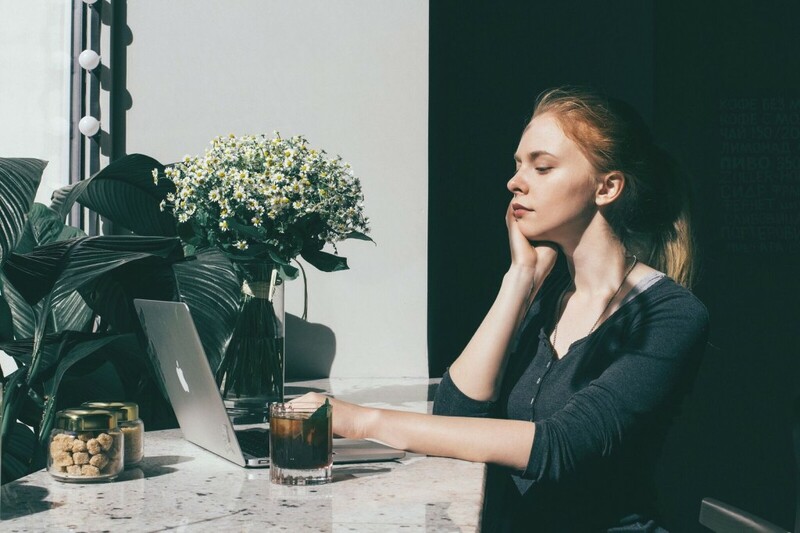 Coffee shops for working with a laptop – Point coffee&food, Cooperative “Black”, Drinkit, Progress. Reading work – Человек и Пароход (Chelovek & Parokhod), DoubleB. 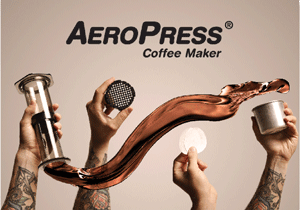 Meetings – Coffeemania, Good Enough. Than, I cross out everything from the to-do-list, grab a glass of red dry wine at 35mm bar or go to Pioneer movie theatre and watch Scandinavian movies. When you are doing something that is going to meet a wide auditory, you will be criticized. So you have to remain true to your own opinions and believes and resist others trying to change your mind. If those who speak your language (figuratively) find your work great, that is enough of a satisfaction. Don’t wait for something to come and force you to start. Don’t listen to anyone, everything you create is better when you do it for yourself. You will learn in the process. Self-development is quite a long journey, so try to enjoy it. And do your best in your own senses and principles. Where can we buy Moscow Coffee Book? Right now in Moscow (a huge list of places on our Facebook page) and Saint Petersburg, Russia. In Budapest, Hungary, at My little Melbourne’s stores and soon at some other shops. 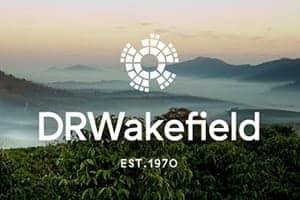 Soon to be in San Diego, California, USA (at Coffee&tea collective). Hopefully also in Brno, Prague, the Czech republic, Paris, France, London, the UK, and Riga, Latvia, after March'17.